of Contacteer ons indien U nog andere vragen heeft. What standards are Herschel panels tested to? Our panels are tested and verified by the German research establishment TÜV and certified “GS” (Geprufte Sicherheit – or “Proven Safety and Health”) which gives then certification to Australia / New Zealand Standards AS/NZS 60335.2.30: 2015 & AS/NZS 60335.1: 2011 Inc A1-2. They are further verified by the Standards Association of Australia (SAA). Appliances comprising “Resistive Elements” fall into the lowest EMC emissions category. In Europe our panels are CE- certified (Corformité Européenne) and in Australia / New Zealand carry the RCM mark. Our panels are RoHS and REACH Compliant. 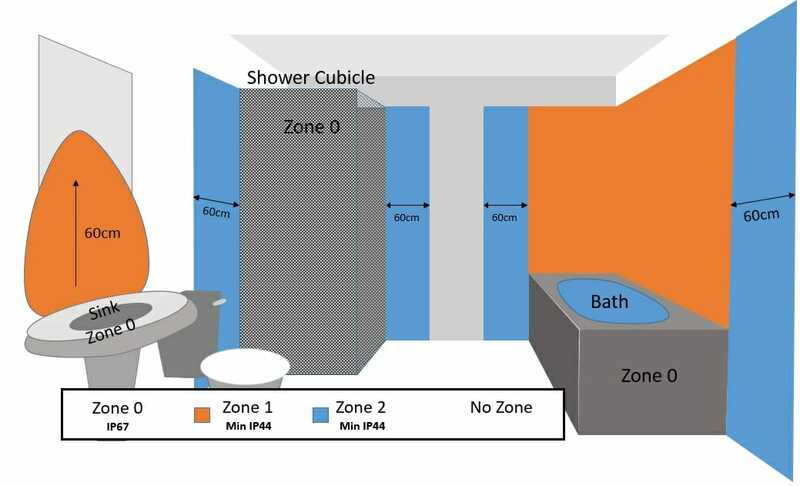 What splash protection do I need in a bathroom? Will the wiring make my property look messy? The wires can be chased into the wall and completely hidden or else discretely fitted within cable trunking, in much the same way as you would do when installing any electrical device (i.e. a wall mounted flatscreen TV). Please consult your electrician or a Herschel Accredited installer for more advice. The best way to heat your water is to have an immersion heater or use a thermodynamic system. If you have solar PV you can use modern microgen power diverters which will use the electricity generated from the solar panels to heat your hot water and also some of your infrared panels. How long do the heaters last? Our heaters all come with a 5 year guarantee and are expected to last decades because of the advanced heating elements that are used. Herschel Far Infrared heaters require no maintenance or servicing. Our heaters use solid state elements unlike water-based heating or fan-assisted systems, which often require servicing, inspection and repair costs. And unlike split heat pumps you won’t have to contemplate performing an entire re-installation every 10 years. Herschel Infrared heaters and control products are certified to national safety standards. What does the word “Far” mean in “Far Infrared”? Why is that important? Herschel Far Infrared emits the biologically most significant Comfort Heating wavelengths because skin content is 80% water which absorbs heat most efficiently from wavelengths of 3 microns and lower (Far Infrared). Far Infrared is better absorbed by the skin, is less transmissive (passes through) and is less reflected. Infrared wavelengths themselves are divided into 3 distinct categories, due to the different physical characteristics of each wavelength. “Near Infrared”, “IRA”, “Short wave” or “Bright” Infrared heaters and “Heat Lamps” operate between 0.78 microns to 1.4 microns and emit temperatures of 1300°C and more plus a certain amount of “deep red” visible light. Applications of this technology include heat lamps for food preparation; large volume “Space” heating requirements and certain carefully controlled medical applications. “Medium Infrared”, “IRB” or “Medium Wave “ infrared heaters operate between 1.4 microns and 3.0 microns and emit temperatures around 1000°C. Applications of this technology include autoclaves and plastic welding. This is the wavelength sought by heat-seeking missiles. “Far infrared”, “IRC”, “Long wave” or “Dark Radiators” operate in the wavelengths above 3 microns. Far Infrared elements emit much lower temperatures, typically around the 85-95°C mark and no visible light. This is the wavelength used in domestic “comfort” heating and Infrared Sauna applications. “Far Infrared” is consequently the only applicable technology for a “comfort” heating application.